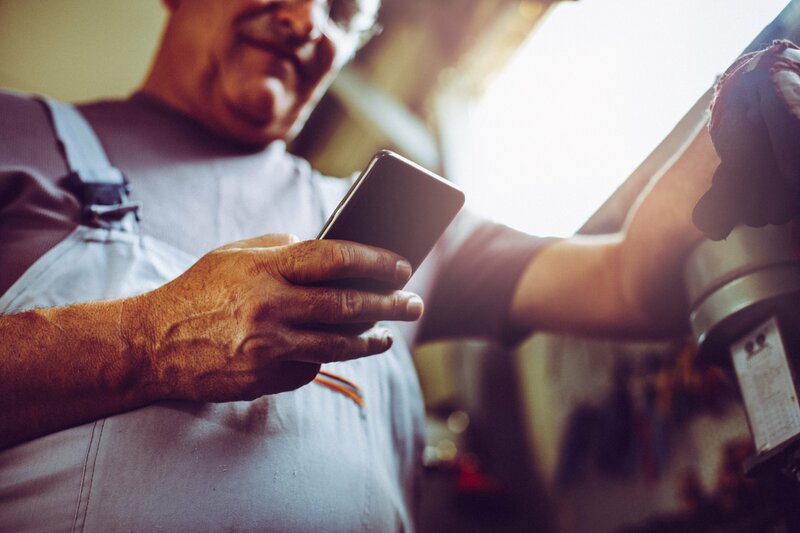 Enterprises can't get enough of mobile apps --- that makes it tough for developers to keep up with the demand to create feature-rich mobile applications in a timely way. Research shows they're increasingly turning to low-code, rapid mobile application development (RMAD) platforms to quickly and easily build and deploy sophisticated enterprise mobile apps. However, it's important to note that not all RMAD platforms are created equal. So how can developers ensure they choose a mobile app development platform that won't let them down hallway through the process? Alpha Software commissioned Bock & Company to survey 1,950 developers to find out which requirements they feel are most important in a mobile app development platform -- from both the developer and end-user perspectives. 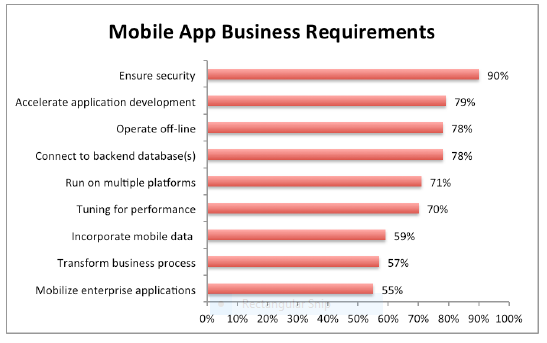 The survey, "Enterprise Developers Rank Critical Requirements for Success in the Coming Mobile App Explosion," is a must-read for any developer or line of business manager looking to build enterprise apps. In this blog, third in a series of three about the survey, we'll look at what developers say are the essential features a mobile app development platform must have to be enterprise-grade. What Features Must Rapid Mobile Application Development Platforms Have to be Enterprise-Grade? 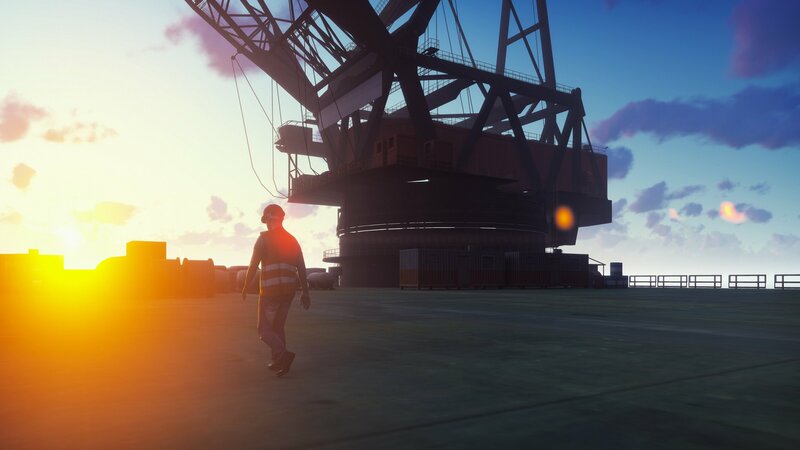 The survey looked beyond the technical capabilities of RMAD platforms, to important business and environmental factors -- ones that translate into buying decisions by line-of-business decision-makers. Bock & Company asked developers to rank the essential features that any platform they consider must offer. Of primary importance by a wide margin is that the platform must "ensure security," which was cited by 90% of all developers surveyed. Second in importance are three features related to core application development capabilities. Seventy-nine percent cited "accelerate application development," while 78% pointed to "operate offline," and "connect to backend database(s)" as being very important. Only slightly less important were that the tool create apps with the "ability to run on multiple platforms" (71%) and that developers can use it to tune applications for performance (70%). The next group of features in the rankings relate to how the apps created with an RMAD platform can help improve productivity in an enterprise environment. Fifty-nine percent rate the ability to "incorporate mobile data" as being very important; 57% are concerned about ways to "transform business processes," and while 55% emphasize "mobilize enterprise applications." Read the first article in the series, "Survey Results: Developers' Must Have Features in Enterprise Mobile Applications," and the and the second article in the series, "Survey Results: The 10 Most Important End-User Features in Enterprise Mobile Apps." To see why enterprise developers are turning to Alpha Anywhere -- just awarded the InfoWorld 2016 Technology of the Year Award -- to satisfy all these developer, business and end-user requirements, click here.